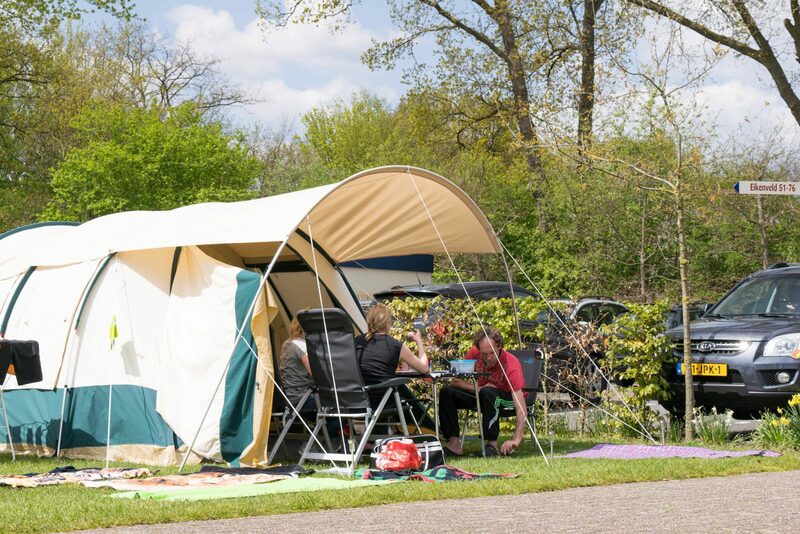 Camping on the Veluwe - Enjoy all the comforts at Ackersate! Would you like to enjoy the ultimate camping holiday surrounded by nature? 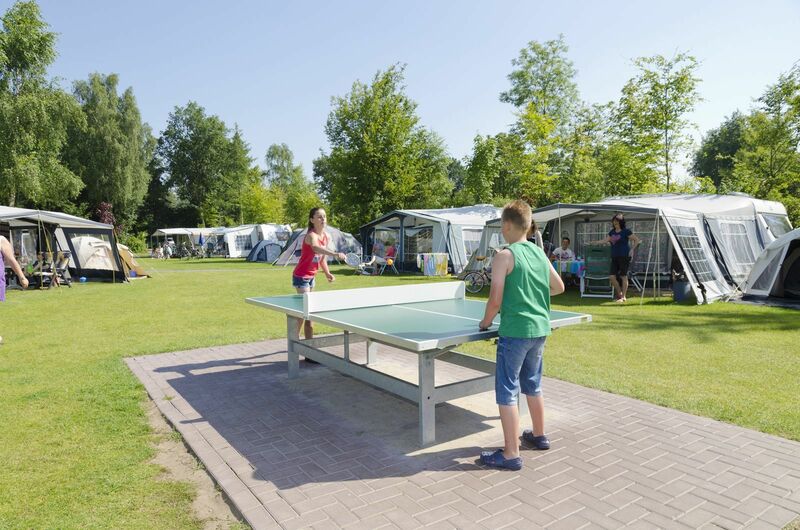 You can at Holiday Park Ackersate, where you get to camp at spacious pitches with the Veluwe as your backyard. Who wouldn't love to go camping near the most beautiful nature reserve in The Netherlands? A day outing to the Veluwe is easy from our camping in Voorthuizen. Clear your mind and enjoy the fresh air during a long walk or cycling trip through the nature reserve, and relax completely at the spacious camping pitches of Holiday Park Ackersate afterward. 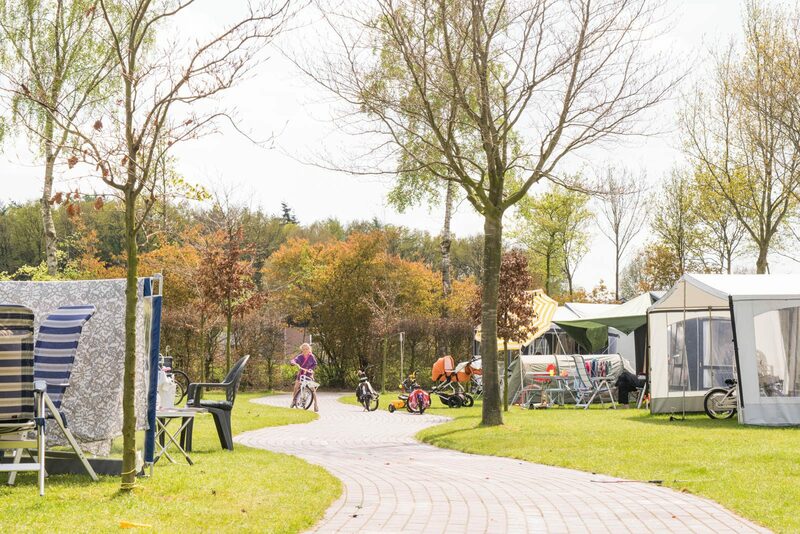 Will the children be joining you on your camping trip at the Veluwe? 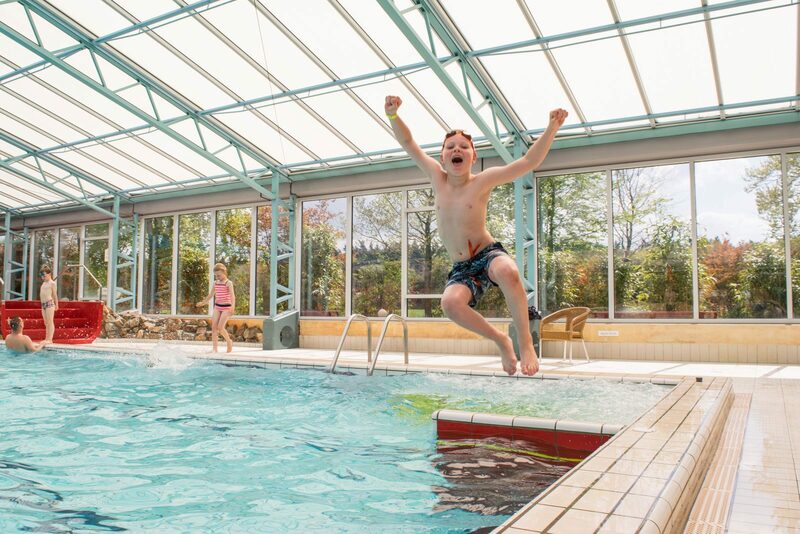 Thanks to our indoor and outdoor swimming pools, as well as the amazing trampoline park, they won't get bored for a moment! Our children's camping allows you to camp at spacious camping pitches located at cozy fields. The camping fields each offer a great play facility for the children. This gives parents the opportunity to enjoy the sunshine and a good book, while still being able to keep an eye on their children. 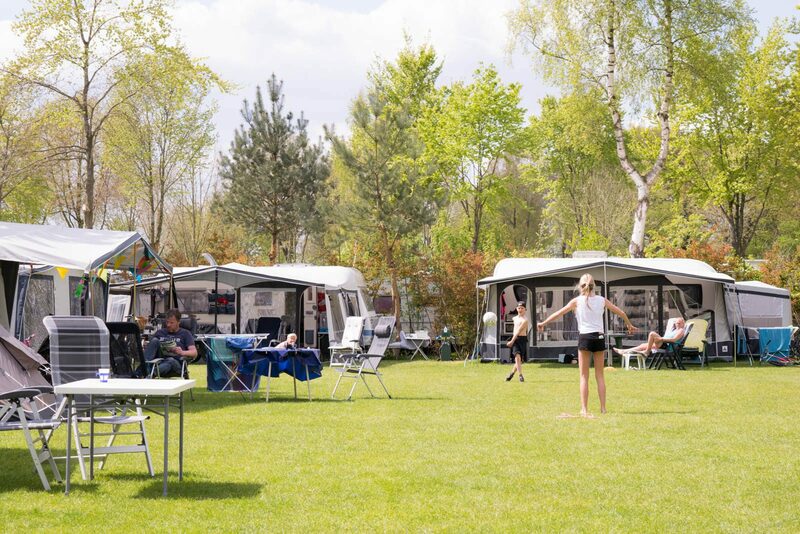 At Ackersate, you can go camping at the Veluwe with your choice of three types of camping pitches: Comfort, Comfort XL and Comfort XL +. 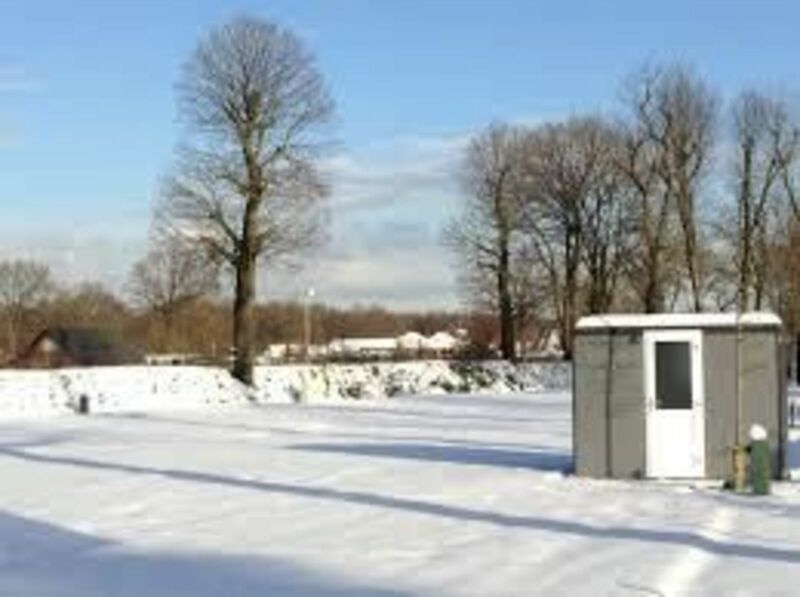 The Comfort pitches feature a surface area of 100 m². The Comfort XL and Comfort XL + offer a little more space with 130 m². All camping pitches, without exception, offer a private water tap point, water disposal, a cable television connection as well as ten-ampere electricity. The modern, luxurious sanitary facilities are always nearby, and have been rated as very clean and tidy by previous visitors. Would you rather not share the sanitary facilities with other guests at the camping? Opt for a Comfort XL + pitch, with the benefit of your own private sanitary facilities (walk-in shower, toilet and sink). We understand that your vacation wouldn't be complete without your loyal canine. That's why Holiday Park Ackersate offers you the chance to go camping at the Veluwe with your dog. Except for camping fields 1 to 10, pets are more than welcome at your camping pitch. A maximum of one pet is allowed per camping pitch. By definition, the Veluwe makes for the ideal base camp during a vacation with the dog. Go for long walks through the sand drifts and dense forests found at the Veluwe. Would you like to allow your dog to run free, play and romp around? 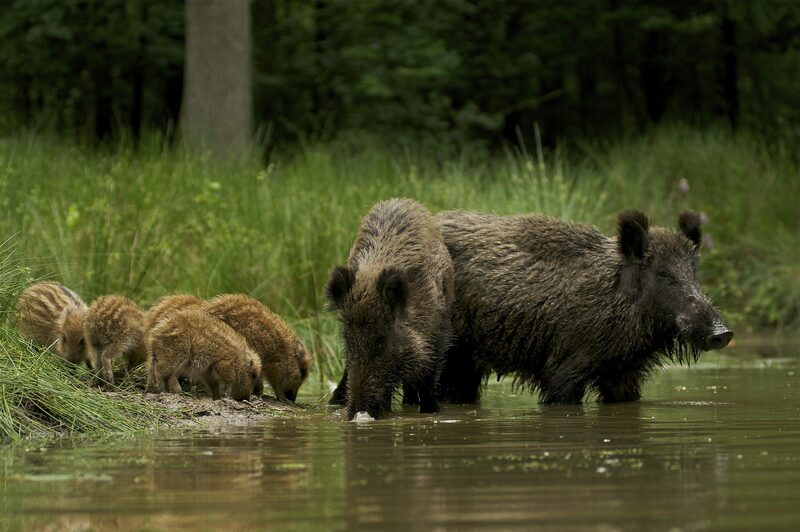 Visit one of the off-leash areas at the Veluwe, such as the Wilbrinkbos and Zeumeren, both located at a short distance from Holiday Park Ackersate. 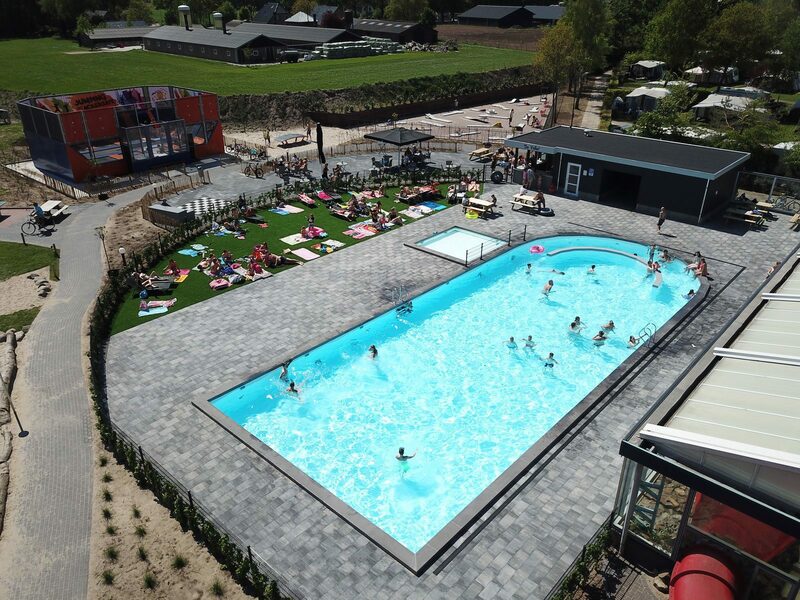 Camping at the Veluwe is fantastic, and Holiday Park Ackersate's location is rated at a 3.7 by Zoover for a good reason. Still, there's plenty to keep you entertained at the camping itself as well. For instance, take a refreshing dive in the outdoor swimming pool, warm up at the indoor swimming pool or brave the amazing slides! We offer an outdoor trampoline park with sloped trampoline walls for the true daredevils. Who can do the best back flip? As of recently, the park is covered to allow you to go jumping during bad weather as well! There is an entertainment team for the children during school holidays, allowing them to enjoy arts and crafts, singing, dancing and some silliness! Are you not in the mood for cooking dinner after a day outing at the Veluwe? Take a seat at Restaurant Het Karrewiel, or pick up a delicious snack at our snack bar. 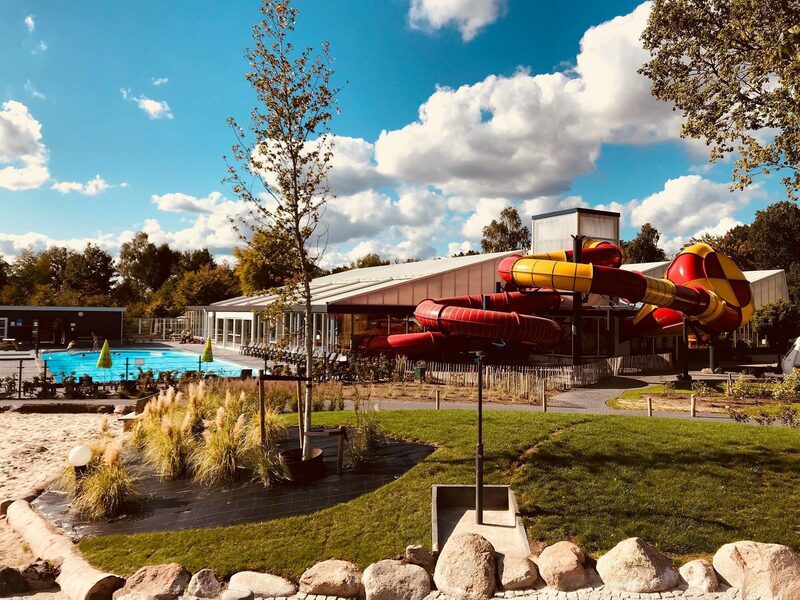 The best place to go camping at the Veluwe is at Holiday Park Ackersate, where you'll find the most beautiful nature reserve in The Netherlands in the backyard. Enjoy the ultimate camping holiday and experience true outdoor life at the spacious camping pitches of our five-star camping.